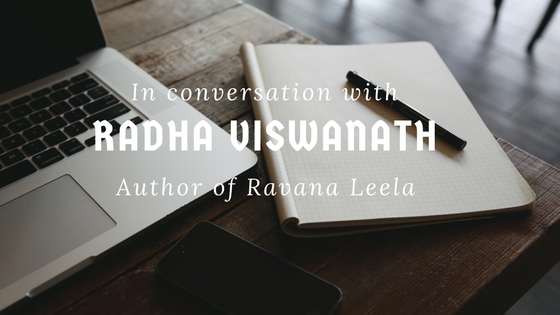 Today we are in conversation with Radha Viswanath, the author of Ravana Leela. 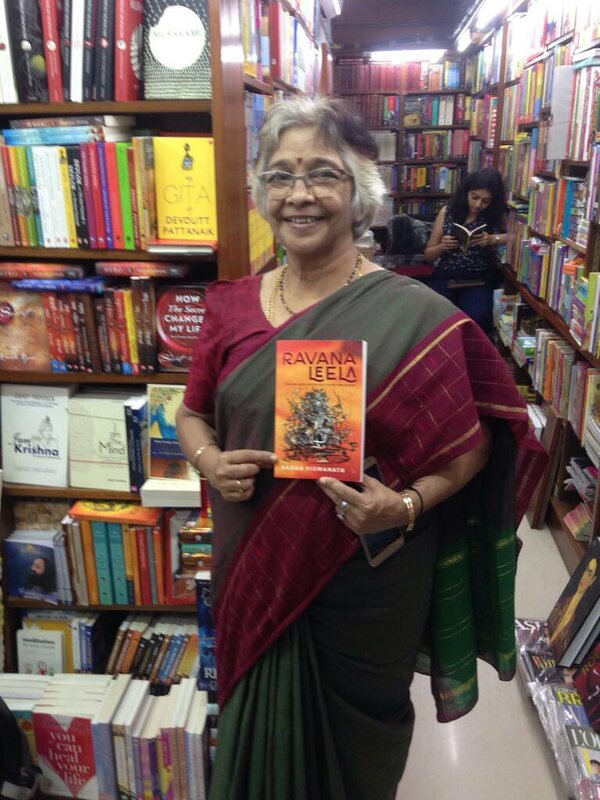 To let you know more about her, Radha Viswanath was born in Andhra Pradesh and spent most of her life in Delhi. Trained as a teacher, Radha entered journalism late in life. After a distinguished career as a political correspondent spanning three decades, she retired from active journalism. 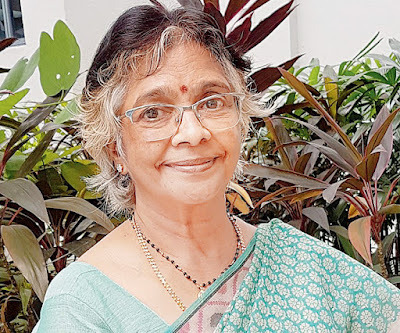 She has the honour of being the first woman journalist to be admitted in the long and distinguished category of parliamentary journalists, in 2006. 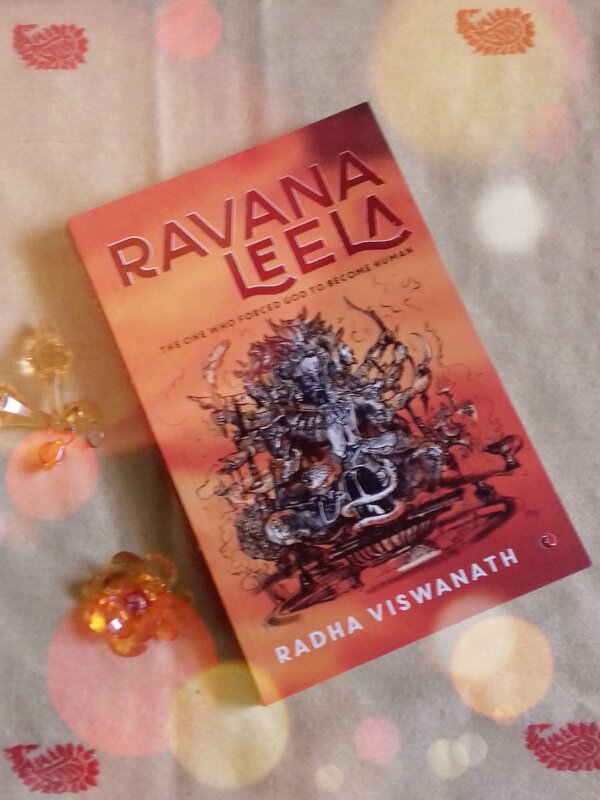 Her book Ravana Leela is considered to be one of the few books where the Rakshasa family of Ravana takes center stage. Ravana, perhaps the most popular Rakshasa in Indian mythology, is known as the villain in the Ramayana and the epic would not have been what it is without this great Rakshasa.Yet Ravana is much more than a mere abductor. Born out of the union of a Rishi and Rakshasi, a devout Shiv-bhakt and a mighty king, Ravana is no ordinary Rakshasa. This book attempts to bring out a comprehensive and well-rounded character of Ravana. The various little dots of information about the Rakshasa king as given in Valmiki Ramayana have been picked with care, collated and compared with presentations in several other versions of the Ramayana, and the long, hoary lineage of the demon king painstakingly put together to present this villain of villains as a legend worthy of greater attention. 1. Welcome to Reviews & Musings. Your journey till here is truly inspiring. Please share your journey writer with us. How does it feel to have a book to your credit? Was it a dream since childhood to write your own book? Having a book to one’s credit - it is definitely a great feeling. However, it was never a “dream” to write a book. Having spent more than three decades in journalism, seeing my credit line in newspapers was something that I have been quite used to. Even so, seeing my name on Ravana Leela was thrilling. And being called a mytho-fiction writer is even more thrilling. 2. 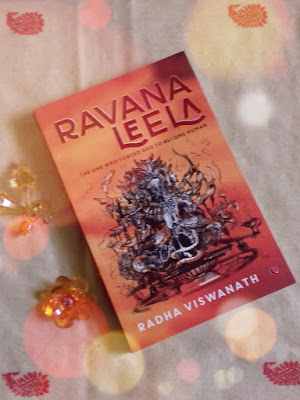 For the book Ravana Leela, what inspired you to write on this topic? Two, no three things led me to choose Ravana as the subject for my book. One, my daughter,who thought that I have an inexhaustible fund of mythological stories, worried that they would be lost if I did not put them down on paper and so pressed me to write. Two, a trip I made through the interiors of a couple of southern states. I visited a number of little known temples here - each had an interesting legend. And three, Devdutt Patnaik - I had read several of his books and admired his unorthodox approach. Thus happened the decision to write on Indian mythology. The temple lore was replete with rakshasas who wanted immortality and went to great trouble to cheat death. But the boons they acquired through intense tapasya were circumvented by gods and the rakshasas died. I wanted to write about these rakshasas and send out the message that one always pays for one’s evil deeds, irrespective of the number and power of the boons and blessings he/she has. 3. As a writer I believe that gradually as the book progresses the authors tend to become one of the characters breathing life in them. Did it happen with you when you were working on your book? Who is your favorite character from your book and why? Ravana, as the best known and most popular Rakshasa, was the obvious choice to make a beginning. Initially I did not even think of seeking its publication in a book form. I was writing it for informal sharing among my children, nieces and nephews and their friends. However, as the writing progressed and different characters took shape under my pen, the view that I should try and reach to a wider readership shaped. When I started reading up on Ravana and soon realised that it was not easy to fit this great rakshasa king into any simplistic mould of good and evil. He had too much depth of character. I also realised that there were several large gaps in his character as presented in the Ramayana. Even his hoary lineage was lost in the narrative, which focussed mainly on Rama. I felt impelled to tell his side of the story; bring out “his” truth. Ravana Leela is the result of this endeavour. In Ravana Leela, most characters figure either in the Ramayana or other pauranik lore. I have retained all names as they exist, except one major character - Vajrajwala, wife of Kumbhakarna. There is a mention of Kumbhakarna’s wife in the Ramayana, but had no presence or role of any consequence. I created Vajrajwala, and so is my favourite. I love the fact that she comes from a different galaxy, willingly undergoes mutations to survive on earth, forges a great bond of love and respect with a husband who wakes only for a day twice a year. Her commitment to Kumbhakarna and to her parents make her an exemplary wife and daughter. I love her. Sumali, Ravana’s maternal grandfather, is a towering personality. As the person who conceives the idea of engineering a Brahmana-Rakshasa hybrid child to regain Lanka for him - Sumali is who deserves respect. I enjoyed fleshing out the details of this giant personality. In fact, I feel Sumali is worth a full book. 4. The same story from a very different point of view is what this book is all about. And it reaffirms the old adage that every coin has two sides, everything that you see need not be the only truth. What is the message you wanted to send across to the readers through your book? Ravana Leela’s message, I think is that no one is good or bad per se. It is people’s actions that are good or bad. And an objective assessment of the relative merits of any action would not be proper if the action is not seen from the doer’s point of view. 5. Do we see you experimenting with genres? While I do not shut out other genres, Indian Mythology is too fascinating for me to leave it off in a hurry. In fact, I have a website called “gaathaa.com” where I post stories about lesser known rakshasas. 6. What are the other projects you are currently working on? Krishna, the God who gave us the Bhagawat Gita is the subject of my next book. It is still taking shape and therefore too early to talk about what it will be like. P.S: All the pictures used therein are copyright of the author unless mentioned otherwise. P.P.S: Do stay tuned for the review of this amazing book next week on the blog!